Heart Lockets with Chain. 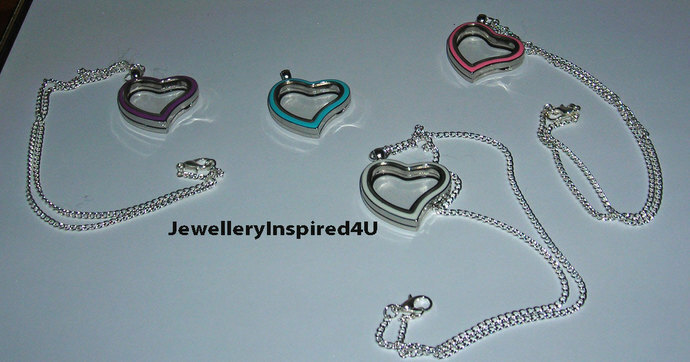 Enamel Stainless Steel Heart Memory Lockets with Sterling Silver Chain. Enamel Locket Jewelry. Mother Gifts Baby Gifts. 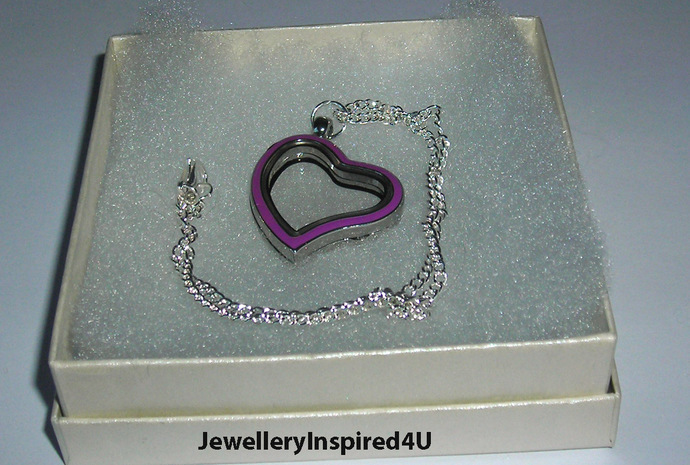 Beautiful heart shaped locket lovely array of colour to suit your wardrobe. 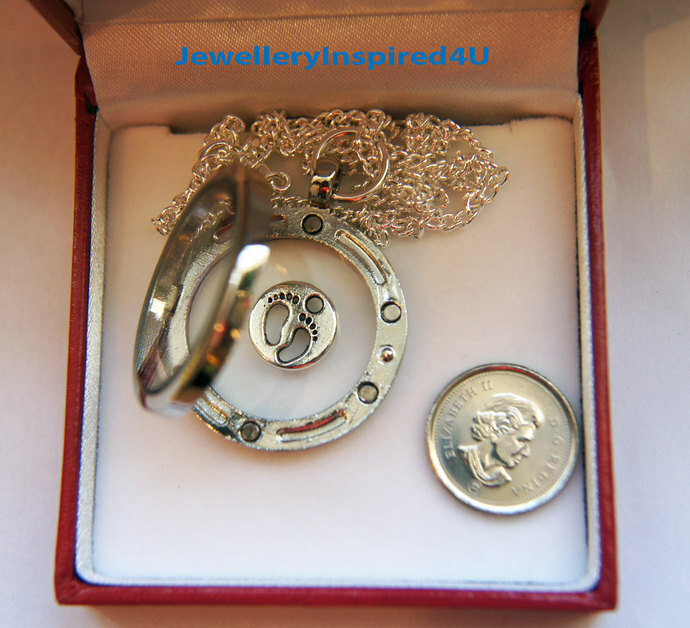 This locket comes with a 16 inch sterling silver chain to enhance your ensemble. Wear this plain, or add your favorite photo. 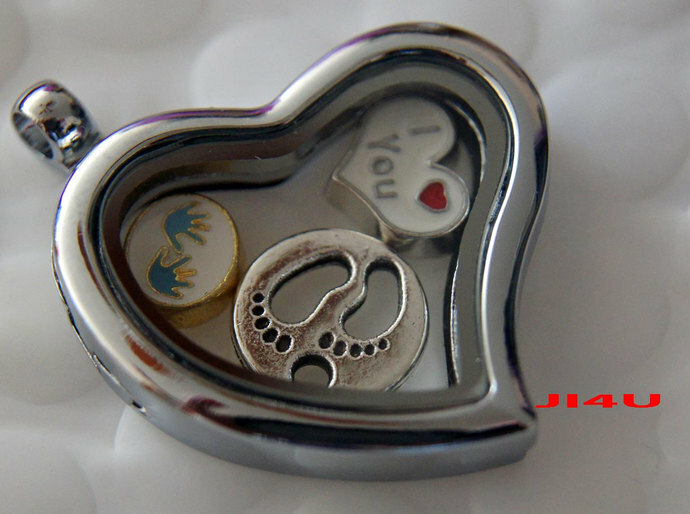 For new Mothers and Mothers to be, I have a variety of charms available in photo's 4- 5. Pet Parents don't leave your Furry babies behind, and show of your love and devotion too. I will also be having round lockets too in pink, sky blue and white. Other cord options: I also have a variety of suede cord available and can make them in any coordinating or matching colours.You may inquire about the mini charms I have please ask. Shipping: All items are carefully packed in a jewellery box with a bubble mailer to ensure safe arrival. Canada Post requires 1) phone number 2) email address for all packages mailed from Canada. Items are regular post for domestic or international shipments. Unless you choose express post or expedited, this is the most practical and guaranteed delivery option. Status updates will be sent via Canada Post and I monitor this.